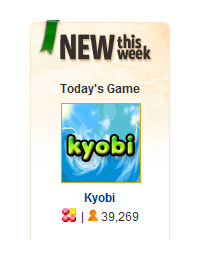 If you enjoyed playing Kyobi on the web, then why not download the complete iPhone version totally free of charge! Kyobi on the iPhone is called “Touch & Go”, but it’s the same physics match-3 fun, with lots of added bells and whistles. This is a fun and innovative “match 3” casual game that uses the touch input of your device to the max. The rules are simple, drag the blocks and throw them together. When three or more of the same color collide they all explode. Just don’t let the blocks pile-up too high. If they stack to the top then your game is over. Smashing four or more blocks in one go will release one of three special power-ups – a time freeze, a stick of dynamite that blows up half the blocks on screen and a bomb that wipes out all the blocks. Combo bonus points are awarded if you manage to smash blocks together in quick succession and multiplier points are awarded for four and five block hits. 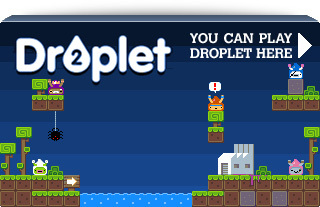 Each level has a set target of blocks to explode and when this is reached all remaining blocks will count against your level end bonus. As the levels progress the action speeds up and more blocks will fall. From level five small blockers are introduced making the sorting of blocks trickier. From a gentle mind soothing experience the game will develop into a fast paced sorting crisis! As the game plays you can organize the blocks by tilting the phone to move all the blocks to the left or the right. Touch & Go! 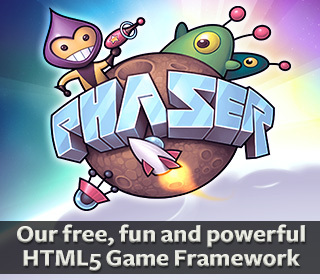 is perfectly suited to the iPhone, a truly new touch game experience! Overall, Touch & Go! is well designed and responsive. 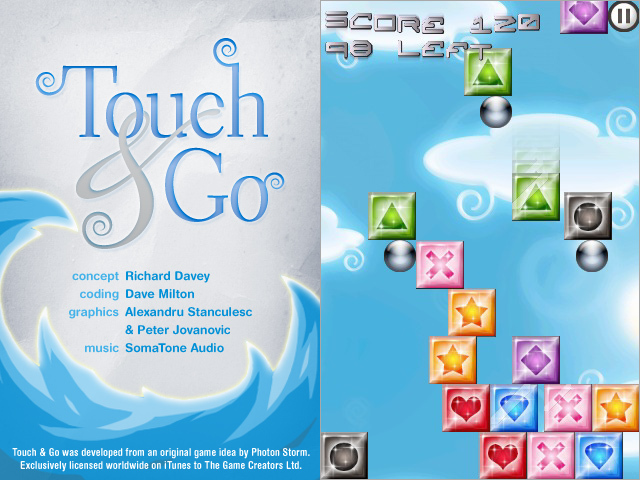 For a new take on the standard match and clear block game, the current sale price of just $.99 makes Touch & Go! a worthwhile purchase. Placing a block is simple. All you do is catch a block out of mid-air, you then have full control of where you place it – and I mean full control. This is what sets Touch & Go! apart from it’s competitors.